Call us today for more information about drug testing. The biggest investment that your business makes is in its people. How can you be sure that you're hiring the right person for the job? And how can you take care of your hiring and recruiting needs without letting the process take away from time and energy you could be spending elsewhere? The answer is simple: call AllStaff. We're one of the top employment agencies in Camden, SC for a reason. We continue to place skilled and dependable individuals in a wide variety of different positions so that the businesses we serve can spend more time working and less time recruiting. If you're ready to work with a staffing service that has your best interests in mind, give us a call today. We offer a whole suite of services that can serve to make your life easier if you're a business owner. Not only can we help you find great employees, but we can offer quality drug testing services that are affordable, efficient and in line with your company's hiring policies. We also rent out meeting rooms for special corporate events. No matter what kind of tone you are trying to set with your meeting, we can provide the right space for the job. We're proud to help the business community of Camden, SC any way we can! 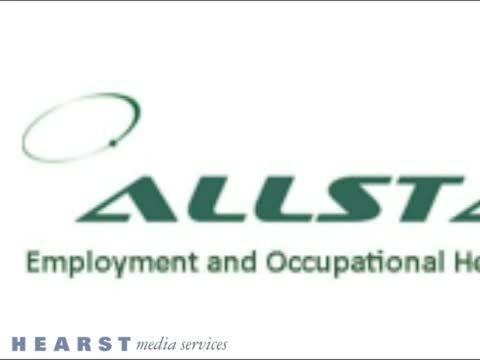 AllStaff Occupational Health in Camden, SC is your total health solution for all your hiring and pre-employment needs. AllStaff will provide services such as drug testing, physical exams, breathing tests and hearing tests. By relying on our employee screening, businesses will gain assurance that their company's pre-employment and employment needs are being effectively managed. Employee screening has become a mainstay of the qualification process for new employees as well as an ongoing basis for a number of regulated industries. Other employment agencies might try to charge you an arm and a leg for this kind of service. But with AllStaff, it's affordable, comprehensive and trustworthy. AllStaff is accredited by the Drug and Alcohol Testing Industry Association (DATIA). Along with our resident RN, all staff members have been trained and certified by DATIA. Our meeting rooms are great for special corporate events! Not only can we help you find the perfect staff to fill out your hiring opportunities, but we offer meeting rooms for your special corporate events. Holding a banquet? An all-day consultation meeting? An awards ceremony? A specialized training sessions? No matter what you need, call and ask about our meeting rooms today. We likely have a room with all the resources you need for a price you can afford. Our services include but are not limited to state and federal drug testing programs. We offer on-site collections. This saves the company time, money, and production. AllStaff also offers post-accident drug screens and breath-alcohol tests. AllStaff can offer you many advantages. Not only do we have a professional staff and service, we offer little or no wait time, prompt drug screen results, competitive prices, personal service and confidentiality. Ask about our meeting rooms! Some of the products and services that are available include breath alcohol test, immunizations, physical exams, DNA testing, drug screening, saliva and hair follicle testing, DMV checks and background checks, Hepatitis B, Hep A, Hep B, Tetanus Pneumonia, infection, flu shots, HIV testing, part time staffing, meeting rooms, skill testing, industrial and manufacturing, clerical and professional jobs and staffing services.